With Selection Sunday behind us it's time to place some US college basketball bets -- and take advantage of March Madness bonus offers at online sportsbooks like Intertops Sportsbook. Who'll make it to the Final Four and head to Indianapolis? As always, that's a tough call. Kentucky, Duke, Wisconsin and Villanova are all the top seeds, but anything and everything is possible as March Madness begins. Get into the game with Intertops extensive NCAAB odds and March Madness offers. $25K bracket contest open until Thursday, March 19th only. Intertops Sportsbook offers attractive odds on every March Madness matchup and celebrates the NCAA Men’s College Basketball Championship with a bonus, free bet and its annual bracket contest. Come up with the perfect bracket -- 63 correct picks -- and Intertops will pay you $25,000. Since entries can only be accepted up to the start of the second round games on March 19th, you only have until Thursday to make your selections. Wager $1,000 or more on the NCAA Men's Division 1 Basketball Championship tournament by the end of the regional tournaments on March 29th can claim a $100 Hoops Free Bet from Monday, March 30th. 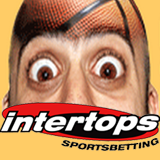 And, until March 25th, Intertops has a March Madness Bonus for you -- 20% added to one deposit. You'll find complete NCAAB odds on the First, Second and Third Rounds (March 17 – 21), the Regionals (March 26-28) the National Semifinals (April 4th) and the ultimate NCAAB Championship (April 6th) under the Basketball tab at Intertops Sportsbook.